Undergraduate students receive academic advising for choosing suitable classes and professors. We can also ensure that you take classes with other underrepresented minority students involved in genomics. For some classes, we may be able to provide add codes for key courses. In co-sponsorship with the UW Biology Department's Howard Hughes Program and the Office of Minority Affairs (OMA), the GenOM Project funds a full-time life sciences tutor at the Instructional Center (IC). The tutor can offer help in biology, genetics, microbiology, and zoology. The brown bag research seminars are offered bi-weekly and comprise science-based topics in genomics and life sciences. They also include professional development topics such as developing a research paper, submitting an abstract, designing a poster, and honing oral communication techniques. For further information, please see the seminar schedule. 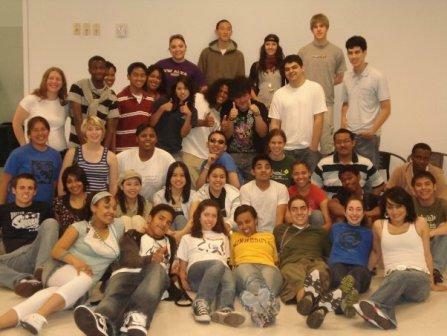 In fall 2003, we launched our mentoring program for UW undergraduate students. Each student is paired with a graduate student or upper level undergraduate student mentor, who assists the student in weaving through the issues an undergraduate typically encounters. Through intensive one-on-one advising, students can receive assistance with identifying potential graduate schools, preparing their applications, obtaining advice on letters of reference, and editing their graduate school statements. We also can connect students with post-baccalaureate programs, such as the NIH Academy.